Rain came in the night and froze where it fell. 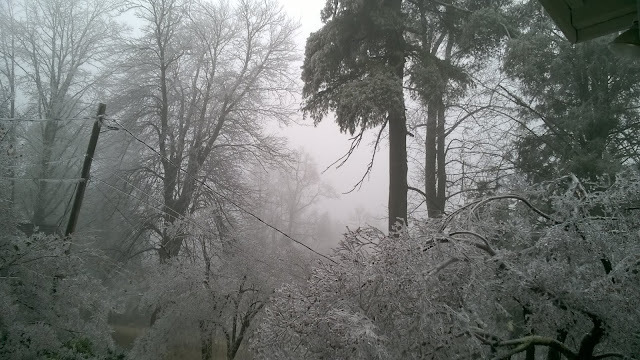 Next morning, as the cold abated, dense fog began rolling up the mountain. Ice slithering from the trees sounded like the world unraveling.